Product information "TIGI Bed Head Totally Baked Volumizing and Prepping Hair Meringue 207ml"
TIGI Bed Head Candy Fixations Totally Baked Volumising and Prepping Hair Meringue is a humidity-resistant volume booster for limp and lifeless hair. Designed for use when blow drying to add hold; volume and texture for long-lasting shape. Start your style with this sweet treat. Apply throughout damp hair and blow dry for a long-lasting boost of hold; volume and texture. Please note that although unused the product recieved may have a missing a lid. 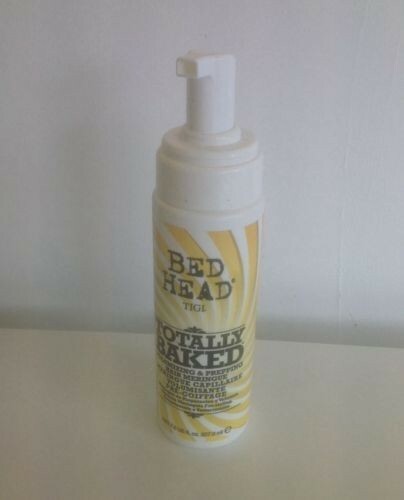 Related links to "TIGI Bed Head Totally Baked Volumizing and Prepping Hair Meringue 207ml"
Customer evaluation for "TIGI Bed Head Totally Baked Volumizing and Prepping Hair Meringue 207ml"